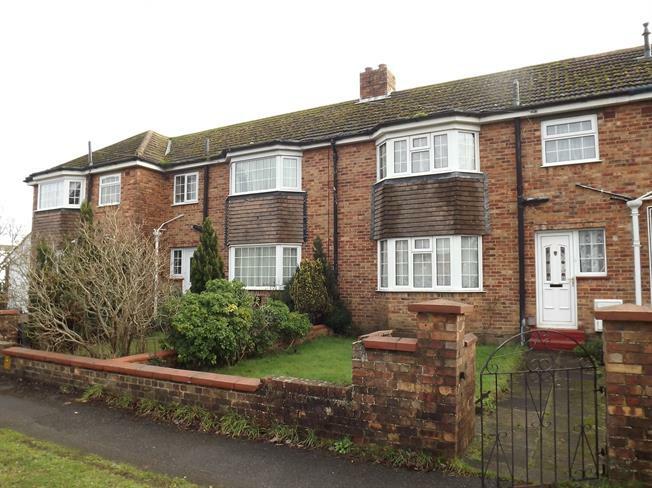 Terraced House For Sale in Christchurch for Asking Price £265,000. A bay fronted house built around the 1950's and more recently added a garage and carport and gas central heating with a Worcester boiler and uPVC double glazing. The accommodation needs some updating and includes an entrance hall from the rear with useful store cupboard housing the boiler, lounge with fireplace and walk in bay, separate dining room, kitchen, spacious landing, two generous bedrooms one with fitted wardrobes and a walk in bay, bathroom, front and enclosed rear gardens. No onward chain.